office bag transition. | escaped. You know when people say as you grow older, your bag becomes bigger and full with stuffs you didn't imagine you'd need when you were younger. HOW COME IT'S NOT IN MY CASE?! Once, back in Japan, my bag used to be filled with make-ups, all sorts of keys, even perfume! (refer this post, if you remember) And you know what my bag looks like now? 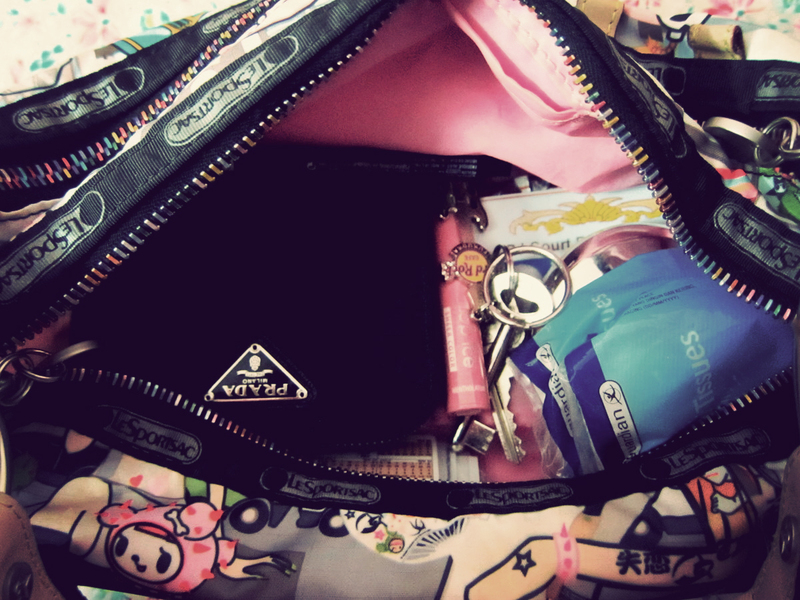 Yes, I'm back to my Tokidoki phase :) And as you can see, currently my bag is filled with my purse, a compact powder, tissues, lip balm, keys and my apartment pass. And that's it. When I used to carry all sorts of makeup with me back then. I AM SUCH A GRANDMA NOWADAYS. But to think of it, really, I don't need so many stuffs with me nowadays except the essentials; what more with the hectic schedule running around the office and home every single day. So glad I still keep my old Tokidoki bag; cause it's really convenient to carry my stuffs to office when I don't have to take a big heavy handbag. The Tokidoki print is also becoming more popular among the colleagues now; I find it interesting that most of them didn't know about the brand. 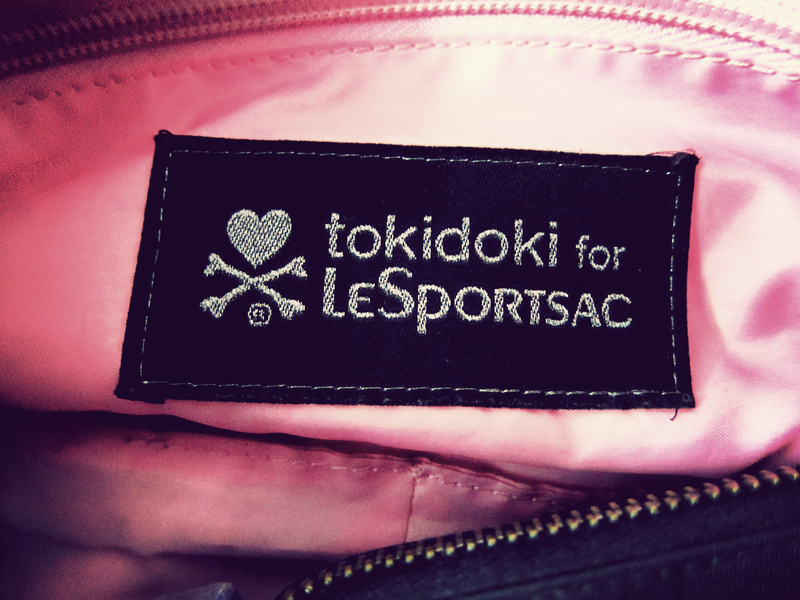 In Japan, LeSportsac is so popular especially among the older women that 70% of them actually owned at least ONE LeSportsac travel bag. Now if only I had more small bags..
hello! thank you :) yea lets keep in touch!